Meet the seamless air ventilation mid-tower addition to the Master Case lineup. Clean, understated panel design comes equipped with Cooler Master's unique Freeform. Master Case Pro 6 Blue is a seamless, discreetly designed mid-tower PC case equipped with our unique Freeform Modular System technology and Master Accessories. Pop open top and front panels for more airflow and easily remove for quick access to your components. Use Freeform to accommodate large, high-end components, fans and DIY cooling. Blue LEDs glow at the bottom of the front. 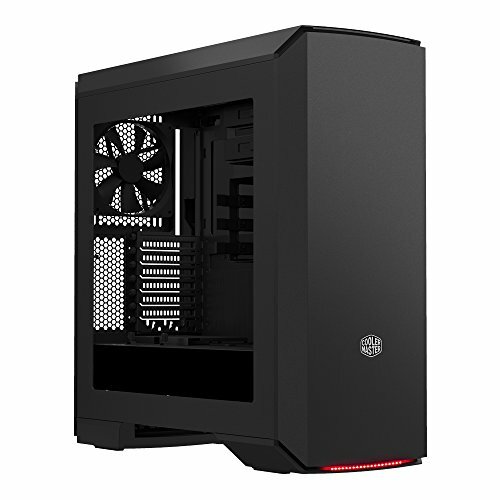 As with all Master Cases, the Master Case Pro 6 offers unparalleled flexibility to upgrade via changing aesthetics, thermal options, and your internal layout. Make of it what you will.